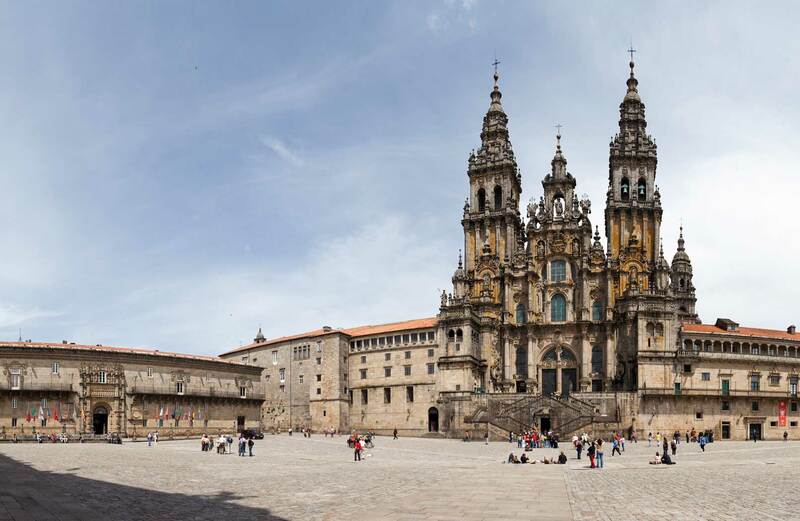 The first of the two big days of the Festivity of the Apostle of Santiago de Compostela has come. The night of the 24th July is magic for both locals and visitors who come year after year to see how the facade of the historic cathedral becomes, for a few minutes, in a canvas on which a multitude of images that tell a story always linked tradition, landscape and legends of Galicia are projected. Obradoiro Square is then filled with curious eyes looking forward to not miss any of the details of the audiovisual display and the fireworks. One of the most coveted spots to witness this exhibit is the emblematic Hostal de los Reyes Catholics, especially this year, when a shell projection will cover each of the buildings located in the square in order to commemorate the thirtieth anniversary of the declaration of Santiago as a World Heritage Site. 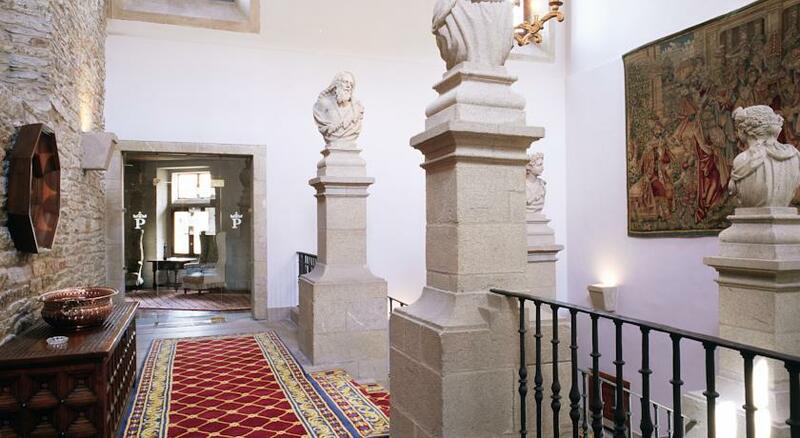 The Hostal, now Parador Museo de Santiago de Compostela, was opened in 1511, ten years after the starting of the works for its construction. It was something before, in 1499, when the Catholic Monarchs ordered, following their visit to the city, the construction of a hospital there to house all those pilgrims who had just arrived in Compostela and needed medical attention. Enrique Egas was the architect commissioned to design a building that currently has the distinction of being one of the oldest hotels in the world. Egas, to whom the Monarchs had also entrusted the design of the Royal Hospitals of Granada and Toledo, thought to Santiago in a building with the T-shaped plan and not on a Greek cross as was the case of the other two other cities hospitals. 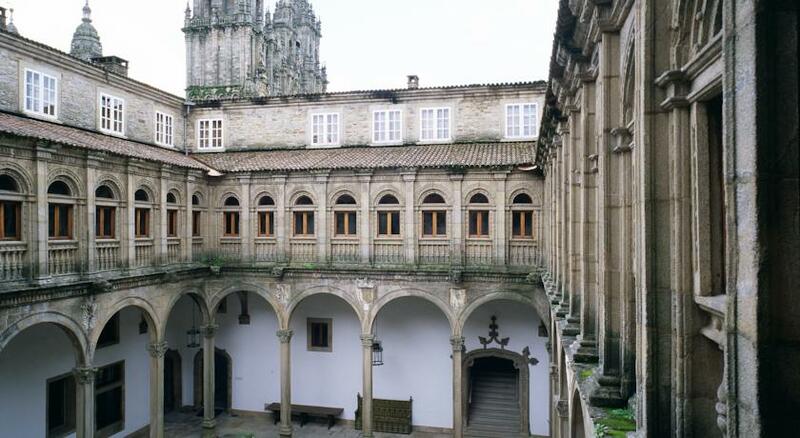 Inside the Royal Hospital of Santiago he was divided into several rooms: two cloisters, one for men and one for women; a vaulted chapel and four courtyards, two of them —Gothic in style— including on the original design style and other two —Baroque in style— built years later. The façade is, without doubt, the most recognized element of the hotel not only for being part of the rich architectural surrounding the Plaza del Obradoiro but also for its Plateresque Gothic style that makes it hold the position of being one of the only two examples of this architectural style in Galicia along with the Puerta de Carlos V of Viveiro (Lugo). Today, this is one of the top rated hotels for those travelers who are attracted by the exclusivity provided by the stay in a building that exudes historical significance in each of its 28,000 square meters.